You have likely herad that curb appeal is important to selling your home easier. Learn the most effective ways to improve your curb appeal in order to sell your home easier and possible quicker. Curb appeal is the first step towards allowing a potential sellers to start off feeling like they can imagine themselves living in your home. Can an old roof really affect curb appeal? We went straight to the local roofers at, Landmark Roofing Company, to hear why an old roof can affect your curb appeal. After all, these roofers have the most experience with roof's and the impact that your roof tells about your home. A roof needing to be replaced may have a negative impact on a prospective homebuyer as the perception of an old, tired roof equates to a liability in the decision making process. Roof replacement can give the exterior of your home a facelift and improve the curb appeal to attract buyers, not to mention in most cases you can pass on a substantial warranty. With the use of a mobile storage unit, from Axcess mobile storage company, you can declutter your yard and leave your property exterior to speak for itself. Request a mobile storage unit to be delivered to your home so you can store sports equipment, personal items, expensive valuables, or recreational vehicles that will be protected from theft and neatly organized in a container area. 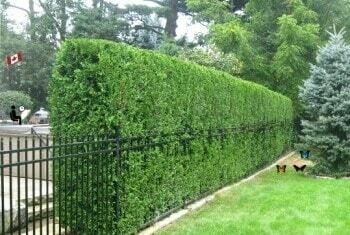 Cedar hedging offers an impressive border along an older fence to create a living wall or border for added privacy from neighbours. Fraser Valley Cedars has a variety of cedar trees and cedar hedging ideas that will instantly boost your curb appeal and yard appearance. Speak to Kristy Dusdal to learn more tips on how to improve your curb appeal on your property. Positive curb appeal will increase the value of your home and appeal to a wider audience. Talk to me about a walk through of your home. I will offer you ideas on how to improve your curb appeal for selling purposes.